Most of us have been content to do work in 2 dimensions, with a few of us making quasi-3D images in digital 2Space. A very few of us work in the 3-dimensional “real” world to create our objects of art or commerce. A new technology has been developed that bridges the gap between the digital and physical world in 3 dimensions, and Chicago Creative Coalition is honored to receive an introduction to this new technology that literally changes the ways objects are conceived, designed and produced. Tom Burtonwood, (born Manchester, UK) is an artist and educator living and working in Chicago, IL. He teaches at Columbia College and the School of the Art Institute of Chicago. Burtonwood is a founding member of “The 3D Printer Experience” a hybrid makerspace / retail store in Chicago. In 2012 he participated in the Makerbot MET#3D Hackathon at the Metropolitan Museum of Art. 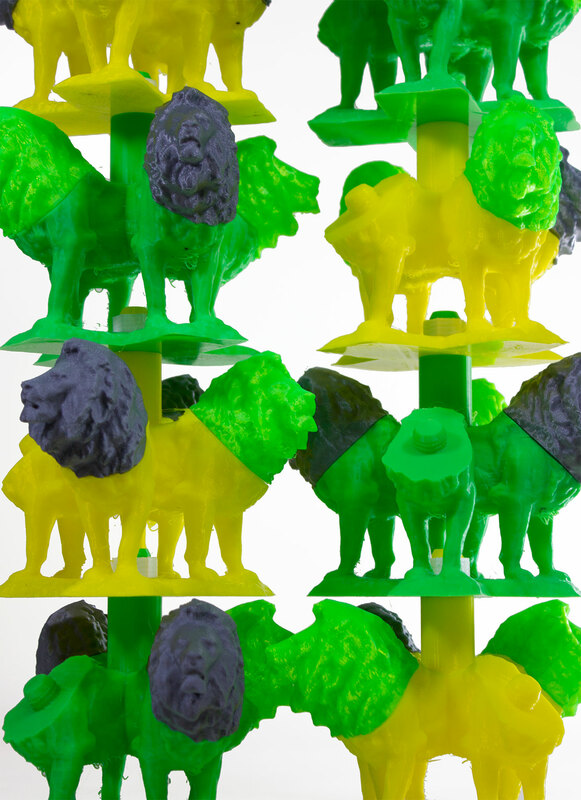 Burtonwood also co-founded Improbable Objects, a project to 3D print artist’s editions and multiples. Holly Holmes is a Chicago based artist producing paintings, sculpture and installations that explore systems and architecture found in both nature and technology. Working in wood and ceramics she produces modular sculptures that mimic cell structures and organic forms. She currently teaches at SAIC and the Hyde Park Art Center. 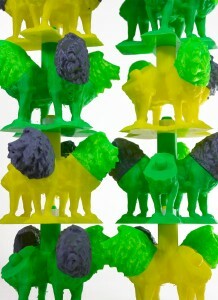 The program will take place at Firecat Projects, where Tom and Holly are currently showing 3D printed work. Don’t miss this program! You don’t want to fall behind the new technology (again). Registrations due by Feb. 9, 2014.